Posted on March 3, 2017 by staceyanderton1	in News and tagged National Honor Society, NHS, Read Across America, Saegertown High School. On March 2, students from Saegertown National Honor Society traveled to the Saegertown Elementary School to read to the younger students. Grades pre-K all the way through sixth grade got to escape class to listen to the high schoolers read to them. Many of the NHS students chose Dr. Seuss books to commemorate Dr. Seuss Week. Twenty-four high school students volunteered to read to the elementary children. Senior Jade Allen read If “You Give A Cat A Cupcake” by Laura Numeroff to second grade teacher Mrs. Brown’s class. “They asked me about how high school works and what classes we take,” said Allen. Many of the young kids were interested in the high schoolers and their readings. Senior Austin Brown read “The Bippolo Seed and Other Lost Stories” by Dr. Seuss to Mr. Askey’s fifth grade class. “They seemed to enjoy the stories since it wasn’t as common as other Dr. Seuss books like ‘Green Eggs and Ham,’” Brown said. This was Brown’s first time participating in Read Across America, “I liked reading the stories, and it was a unique experience,” said Brown. 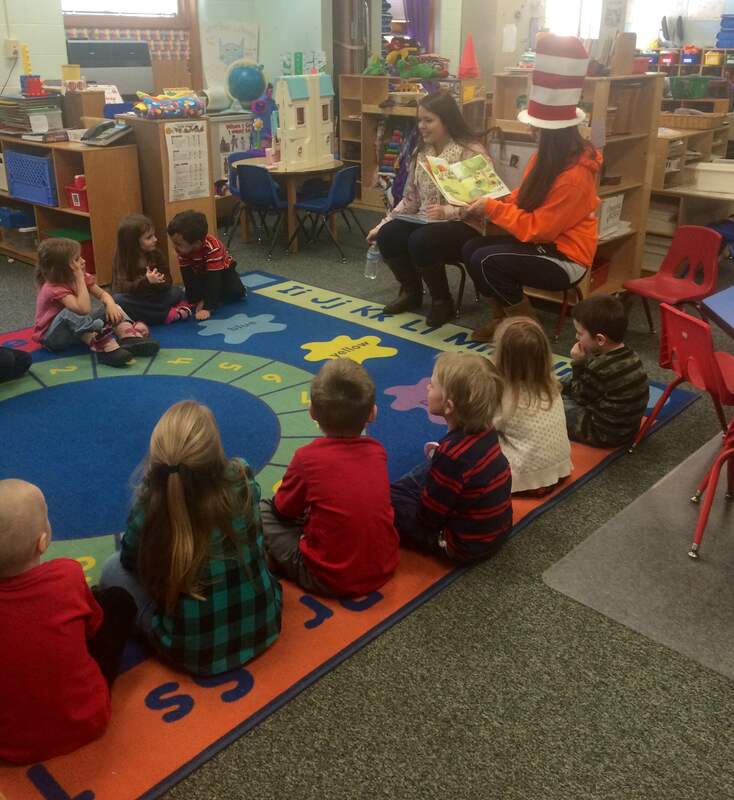 The NHS students received service hours for participating in Read Across America. They all gathered in the elementary school’s library to pick out books to read, and after, they returned for donuts and a picture with their school librarian Mrs. Betty Litke. “Read Across America Day is important because you get to share stories with our youth, and stories are the most important things that we can provide them because it gives inspiration and hope,” said Brown.